Ruggedly constructed traditional chair that offers both comfort and durability. 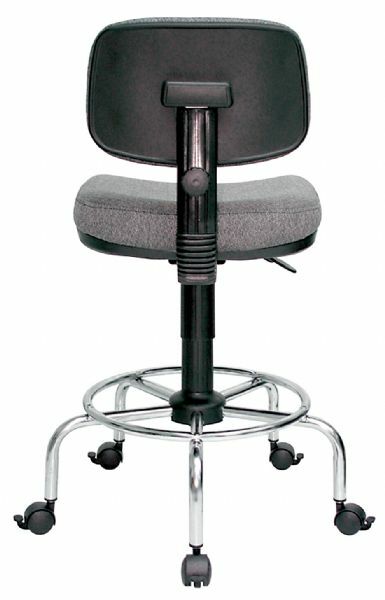 * Features include pneumatic height control a height and depth adjustable hinged backrest with polypropylene back shell dual-wheel casters and a 23" tubular chrome steel base with built-in foot ring. * Seat cushion is made of long-lasting comfortable molded foam and is 18"w x 18"d x 4" thick. 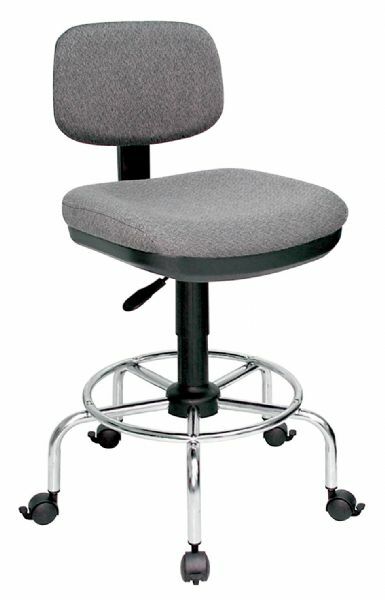 * Backrest is 15"w x 10"h.
* Height adjusts from 23" to 31". 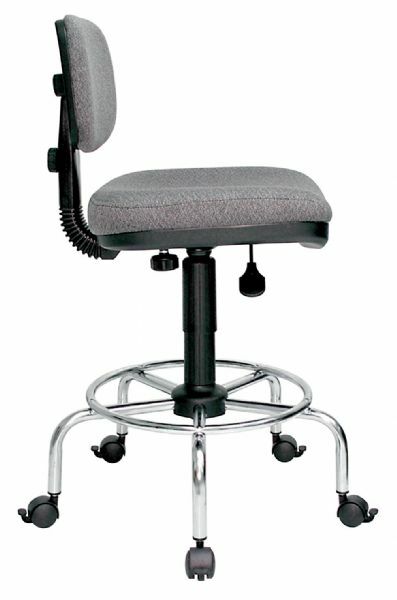 * Comes complete with a set of locking casters and a set of non-slip floor glides.